Thescarefactor.com just named us the #1 “Must See” haunt in the state of Pennsylvania! Looking for the top Pennsylvania haunted houses? 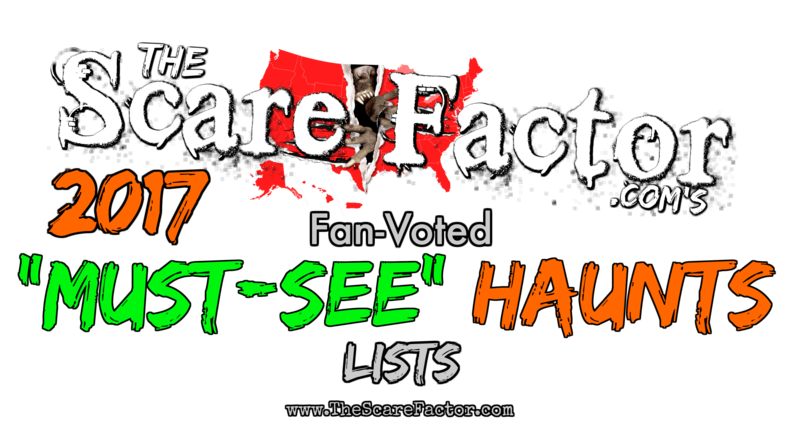 Over the past summer, The Scare Factor.com hosted their second annual nation-wide poll, where haunted house-goers could vote for their favorite “Must-See” haunted attractions in Pennsylvania. They tallied the results and posted them here so you can find the biggest, best and scariest haunted houses in the State! This year Monessen, Pennsylvania’s own Castle Blood was named the number one “Must-See” Haunt. CLICK HERE to see the other nine fantastic haunts that we are so proud to share the top 10 list with.